I was busy with some regular un-boring but in reality very boring stuff called Life. Since I got bored of getting bored, I decided top open my Minimalist Photography Folder and post a Minimalist Photograph. I felt it would be a good idea to bore my blog readers, by posting a Colored Verizon of a Black and White Minimalist Photograph that I had posted earlier. 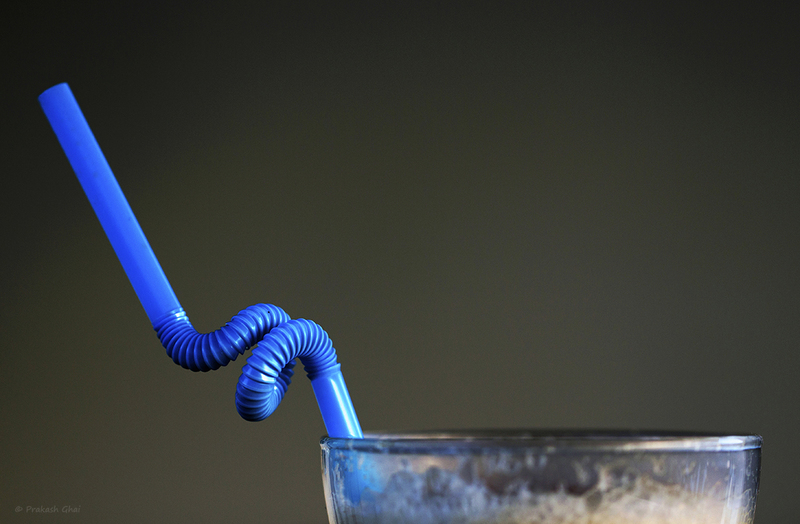 The Above Minimalist Photograph Titled Twisted Coffee Glass Straw - Colored Version, is the Colored Version of Twisted Coffee Glass Straw (click on the link to view). Have a Look at Both the Versions and tell me which Version of the Photograph do you like more. Leave your choice in the Comments Below.